[JAN. 29, 2005] Bald Eagle Days at Pere Marquette State Park: The winter season bald eagle programs are concluding at Pere Marquette State Park in Jersey County, with the last program scheduled for Sunday (Jan. 30). The informative program begins with a short video presentation and discussion at the Pere Marquette State Park visitor center at 8:30 a.m., followed by an observational drive to view the wintering bald eagles. Reservations are required. Call (618) 786-3323 for reservations or more information. For an exciting way to discover Illinois' great natural resources, pick up a copy of the February issue of Outdoor Illinois, the Department of Natural Resources' monthly magazine. For the first time ever, nearly every page of the magazine has been devoted to photographs illustrating the diverse wealth and captivating beauty of Illinois' natural resources. This photographic edition of Outdoor Illinois contains winning images from the 2004 Outdoor Illinois photo contest, as well as images from Department of Natural Resources staff and other photo contributors. Outdoor Illinois is a great tool for learning about Illinois' natural, cultural and recreational resources and a bargain at only $15 for a one-year, 12-issue magazine subscription. Call 1 (800) 720-3249 to subscribe. VISA and MasterCard are accepted. For the latest information on Illinois waterfowl seasons and Canada goose harvest details, call 1 (877) 249-3679. The 185th meeting of the Illinois Nature Preserves Commission will be on Tuesday (Feb. 1) at the Illinois Department of Natural Resources building, Lake Level Conference Room A, Springfield. The meeting begins at 10 a.m. and is open to the public. 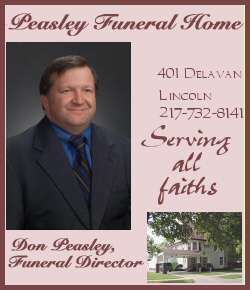 For more information, phone (217) 785-8686. Winter walk: Enjoy the "Wonders of Winter Walk" at Giant City State Park, Makanda, on Feb. 3 from 1 to 2:30 p.m. Join in a moderate one-mile hike and discover the many ways plants and animals adjust to the winter cold. For more information, call (618) 457-4836. "Decorative Abstractions -- Reshaping the Common": Gallery director Jim L. Zimmer will discuss decorative abstractions in art at the Illinois State Museum Lockport Gallery's Second Sunday Series in the main gallery of the museum on Feb. 13 at 2 p.m. The event is free and the public is invited to attend. Zimmer will explore how abstract imagery has been used by decorative artists and artisans throughout time and provide examples with a media presentation augmented with objects from his personal collection. The talk will tackle the issue of why abstraction is embraced in the decorative arts, yet often receives a cool reception in the fine arts. The "Art in the Abstract" exhibition, which will remain on view at the Lockport Gallery through March 4, is a colorful exhibition of 35 paintings, drawings and prints dating from 1913 to 2002 by 28 Illinois artists, drawn entirely from the Illinois State Museum's permanent collection. The Illinois State Museum Lockport Gallery is located on the first floor of the historic Norton Building at 201 West 10th St. in Lockport. Hours are 10 a.m.-5 p.m. Tuesday through Saturday and noon until 5 p.m. on Sunday. For more information, phone (815) 838-7400. Illinois Biodiversity Field Trip Grants: Schoolteachers throughout Illinois are invited to apply for grants to help bring their lessons to life as they take students to visit Illinois' natural heritage. The popular grants have funded field trips to state parks, nature centers and museums. Awards of up to $500 per teacher are offered. Funds can be used to pay for transportation, substitute teachers and other qualifying field trip-related expenses. Application forms for the Illinois Biodiversity Field Trip Grant program can be downloaded through http://dnr.state.il.us. Forms are also available by e-mail request to teachkids@dnrmail.state.il.us or by calling (217) 524-4126. Applications are due by Feb. 15. The grant program is made possible by a donation from the Daniel F. and Ada L. Rice Foundation of Skokie and the Independence Tube Corporation of Chicago, with funds administered by the Illinois Conservation Foundation. Hunter survey deadline: All hunters who received free permits to access Illinois Department of Natural Resources public land sites are reminded that the due date to return harvest surveys is Feb. 15. Hunters who may have misplaced or lost their surveys should contact the site office that issued it. Even if hunters received a free permit but did not hunt, return of the survey is important to biologists and site staffs managing these sites. If a hunter's survey is not returned, that hunter may be ineligible to obtain a permit for the next year. The Department of Natural Resources thanks the hunters who have already returned their surveys. Grant program notice: Applications are being accepted by two funds in the Special Wildlife Fund Grant Program administered through the Illinois Department of Natural Resources. Applications are now being accepted for the Migratory Waterfowl Stamp Fund and the State Furbearer Fund. Migratory Waterfowl Stamp Fund grants may be awarded to appropriate not-for-profit organizations that submit a project involving the development of waterfowl propagation areas within the Dominion of Canada or the United States that specifically provide waterfowl for the Mississippi Flyway. Funds may also be awarded for a project to implement the North American Waterfowl Management Plan for the development of waterfowl areas within the Dominion of Canada or the United States that specifically provide waterfowl for the Mississippi Flyway. The application deadline is 5 p.m. Feb. 15. State Furbearer Fund grants may be awarded to appropriate not-for-profit organizations, governmental entities, educational institutions or corporations that submit a project that strives to educate hunters and trappers of fur-bearing mammals within the state and the general public concerning the roles that hunting and trapping have regarding fur-bearing mammal management. Projects should also help inform hunters and citizens of the laws associated with the harvesting of fur-bearing mammals; the techniques used in the hunting and trapping of fur-bearing mammals; and the conservation, management and ecology of fur-bearing mammals and the promotion of products made from wild fur-bearing mammals. The application deadline is 5 p.m. March 1. Applications and additional information are available from the Illinois Department of Natural Resources, Office of Resource Conservation, One Natural Resources Way, Springfield, IL 62702-1271; phone (217) 782-2602; or at http://dnr.state.il.us. The 125th meeting of the Illinois Endangered Species Protection Board will be at 10 a.m. on Feb. 18 at Western Illinois University's Kibbe Station, Alice L. Kibbe Field Station, 545 East County Road 1180, Warsaw. If anyone has reason to address the board, the board requests advance notification of such intent and an advance written copy of the matter to be presented. Without an advance copy of such presentations, the board cannot make on-the-spot evaluations concerning any matter and will not be able to formally act on that matter during the current meeting. The entry deadline for the annual Arbor Day Poster Contest for fifth-grade students is Feb. 21. The theme for the 2005 contest is "Trees are Terrific...and Energy Wise." For more information or to receive a packet, contact Reinee Hildebrandt at rhildebrandt@dnrmail.state.il.us or (217) 785-8771. The Illinois State Museum presents the exhibition "Carolyn Plochmann: Between Two Worlds," featuring 36 paintings by this internationally recognized southern Illinois contemporary artist, through Feb. 27 at the Illinois State Museum in Springfield. Plochmann's work has been exhibited and collected beyond Illinois -- primarily for the last 30 years in New York City. The Illinois State Museum, 502 S. Spring St. in Springfield, is open 8:30 a.m.-5 p.m. Monday through Saturday and noon to 5 p.m. on Sunday. Admission is free. Works by 40 photographers are paired with the words of 17 famous poets in "A Tone Poem in Photographs and Verse," on exhibit through Feb. 27 at the Illinois State Museum. The museum is open Monday-Saturday 8:30 a.m.-5 p.m. and on Sunday from noon to 5 p.m. at 502 S. Second St. in Springfield. Admission is free. Applications are now being accepted for the Illinois Wildlife Preservation Fund Grant Program, administered through the Illinois Department of Natural Resources, Office of Resource Conservation, Division of Habitat Resources. This program is funded through a voluntary checkoff designation to the Wildlife Preservation Fund on the Illinois state income tax form. Small Project Program proposals may address many types of projects, including management, site inventories or education. Examples of past projects include wildlife habitat improvement, species enhancement, and education and research projects throughout the state focusing on species ranging from birds to turtles and habitat ranging from forests to prairies. Individual proposals are eligible for grants of up to $2,000 from the Wildlife Preservation Fund. The Illinois Wildlife Preservation Fund Grant Program packet for 2005 includes a program explanation, instructions for completing the application form and an application form. The application packet is available at http://dnr.state.il.us. The deadline for accepting applications is 5 p.m. April 1. "Illinois Whitetails": Be sure to pick up your copy of "Illinois Whitetails," a book published in cooperation with the Illinois Department of Natural Resources and edited by renowned whitetail expert Gordon Whittington. The book includes all of the entries in the Illinois Big Buck Recognition Program, a full-color section with big buck stories from across the state, and the history of Illinois' deer population and deer management. The price per copy is $24.95. Proceeds from the sale of the book benefit the Illinois Sportsmen Against Hunger program. To order "Illinois Whitetails," visit the Illinois Conservation Foundation website at www.ilcf.org or call (217) 785-2003. 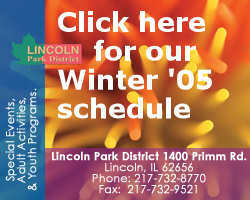 The Illinois Department of Natural Resources, Division of Education, is sponsoring educator workshops through the ENTICE program throughout 2005. ENTICE is the Environment and Nature Training Institute for Conservation Education. These free workshops offer continuing professional development units for teachers. ENTICE workshops provide natural resources information, instructional methods and supplemental educational materials. When incorporated into classroom lesson plans, the materials encourage and promote stewardship of the state's natural resources. entice/Upcoming.htm for the complete schedule and a registration form. Registrations are accepted on a first-come, first-served basis. All applicants will be contacted. Contact teachkids@dnrmail.state.il.us or (217) 524-4127 for more information.